We are one the the preferred vendors at Ideal Weddings. there will be a 10% off plus a chance to win a Grand Draw by Ideal Weddings for any wedding packages signed up. Please use the below form to contact us now! It can be a estimated date/time if you do not have the confirmed date/time. Terms & conditions stated in our quotation shall applies. Couples need to present the privilege card issued Ideal Weddings in order enjoy this promotion. This promotion shall be valid till September 2015. The privilege card must not be expired. The Grand Draw is hosted by Ideal Weddings. 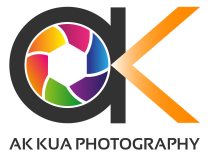 AK Kua Photography shall not bear any responsibility should there are changes/termination of the Grand Draw by Ideal Weddings. Refer to this >>Link<< on how to join the Grand Draw.